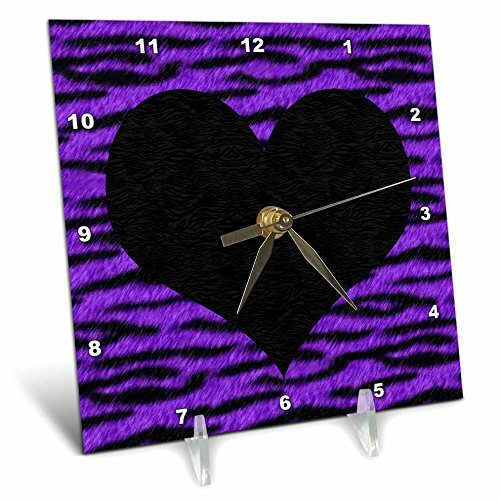 Punk Rockabilly Purple Tiger Animal Print Black Heart Desk Clock is new, handcrafted utilizing unique process resulting in a stunning high gloss ceramic-like finish. Measures 6-inch by 6-inch, comes with transparent acrylic stand. Single AA battery is not included.